White House national security adviser John Bolton has affirmed President Donald Trump's willingness to use military action against Venezuela, if deemed necessary. Vecchio met with U.S. Undersecretary of State for Political Affairs David Hale, who reaffirmed support for opposition leader Juan Guaido - whom the U.S. administration considers Venezuela's interim president. The Kremlin has denied reports that private military contractors who carry out secret missions for Russian Federation flew into Venezuela to reinforce security for its leader in the face of mass protests. A major oil producer, Venezuela has been wracked by hyper-inflation, food shortages and intense crime since Maduro came to power in 2013. Guaido has won wide worldwide support, including from the United States. The action would bolster Guaido, he said, while accusing Maduro's regime of "human rights violations and abuses in response to anti-Maduro protests, arbitrary arrest and detention of anti-Maduro protesters, curtailment of press freedom, harassment of political opponents, and continued attempts to undermine" Guaido's government-in-waiting. The Trump administration's quick recognition of Guaido was quickly met with alarm by progressive anti-war advocates and commentators, who denounced the move as the beginnings of a coup and warned that USA intervention in Venezuela's internal affairs will only make the country's economic and political crises worse. USA drillers added 10 oil rigs last week, according to energy services firm Baker Hughes on Friday, in another sign of the expanding record US crude production that has soured market sentiment. The first major military officer to publicly switch his support to Guaido was Venezuela's military attache in Washington, Army Colonel Jose Luis Silva. 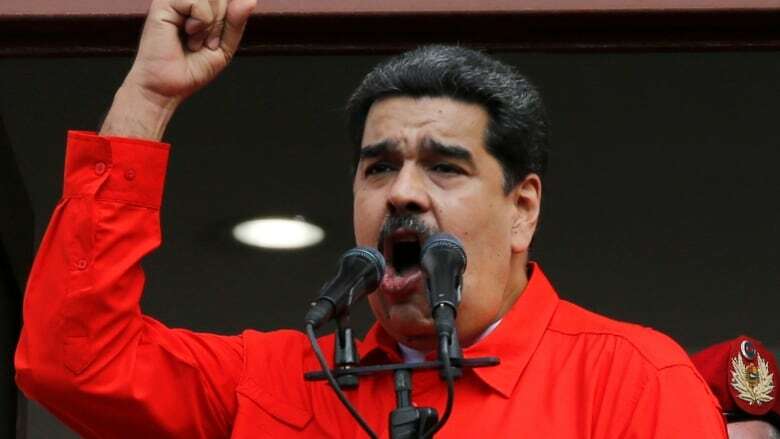 Maduro's assertion was based on reports that Vice President Mike Pence had promised to support Guaidó only days before the opposition leader declared himself to be in charge of the country.